Remarks made by Executive Manager Marketing & PR for launch of 1st National Bank’s redesigned website. 1st National Bank is pleased to unveil its redesigned website now live at www.1stnationalbankonline.com created in collaboration with Matt Render of Mosaic Ltd. The new website is both customer and user friendly, dynamic and informative – focusing on the tools and resources that matter most. We are proud to launch this virtual platform during the observance of our 80th year of serving the people of St. Lucia. We continue to listen to our customers ensuring that we remain relevant and competitive in an ever changing financial services industry. This revamped website provides enhanced functionality and is designed to highlight information without prolonged searches. The tabs on the homepage are deliberate for ease of navigation. 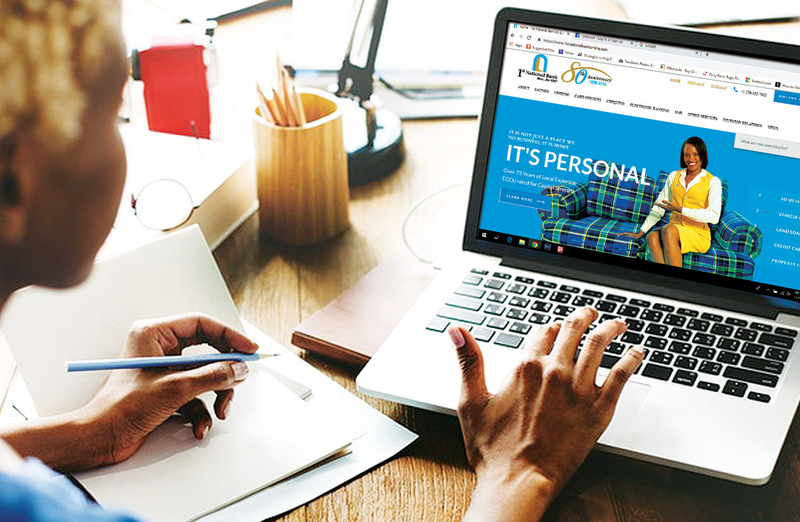 This ultra-modern site, with its clean lines and fresh look enables easy browsing of content from the About Us tab covering; the Bank’s history, its 80th journey, the leadership team which is by the way 100% St. Lucian. We have taken the time to share our vision, mission and more importantly our core values with you. That way, you can hold us accountable. The Site also reflects the full gamut of products and services with a calculator that allows you to easily calculate monthly loan payments, with the upload of foreign exchange rates and not to mention, an SME tab designated specifically to Small-Medium Enterprises. Our aim is to ensure that the site is refreshed as often as is necessary: keeping information current and simple for the end user. By now you would have realized that the site is two-fold; to inform and to educate! With your support, we have come a long way since 1938. Now with a robust core system and continuous upgrades to top of the line firewall, you can rest assured, knowing your business is safe and secure with 1st National Bank. 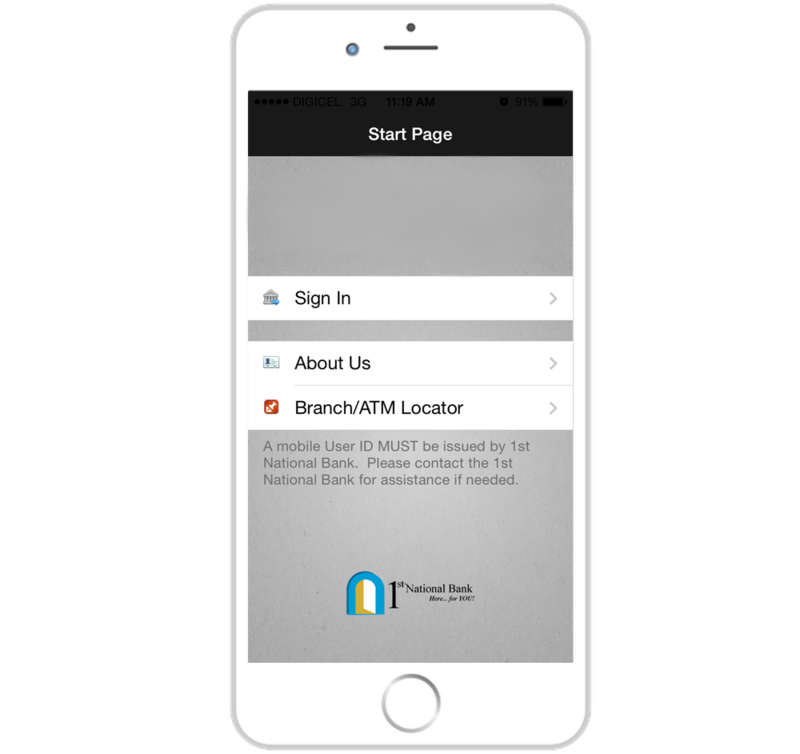 Our mobile Banking Platform was the first to be introduced in St. Lucia and we continue to strive to be at the cutting edge of banking services on the island. We also have the most branch locations: – a total of six (6) branches and one bureau de Change, all strategically located and outfitted with 24 hour ATM service to better serve you. That’s not all; we are the only Bank offering “Smart Weekend Banking”. Yes, Saturday Banking, with you, our valued customers in mind. Looking back we feel the pride and as a customer of 1st National Bank you should be proud too. As we reflect on our journey of 80 years we are also looking ahead, mindful of unlocking opportunities and celebrating milestones. Opportunities to grow with you, our loyal customers. The revamping and redesigning of this medium of communication; our new and refreshed website, is only one of the many customer-centric changes in the commemoration of our 80th Anniversary of operations. Eighty years could not have been celebrated without your contribution; by means of your business, but more importantly, by your loyalty and support. Moving forward, we continue to build on the technology that will allow you easy access to connect with your Bank any day, anytime, anywhere beyond the milestone of 80. 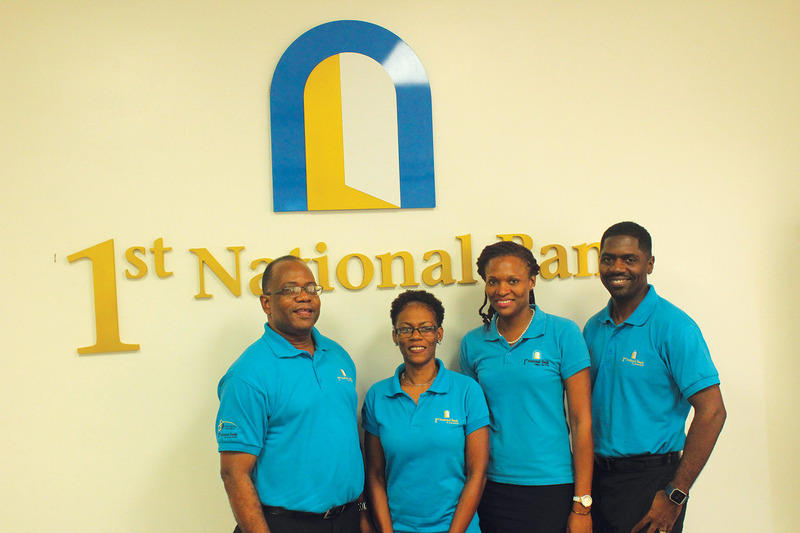 At 1st National Bank St. Lucia Limited, It’s all about people looking after people; putting our customers first; moving our Bank from goodness to greatness and making sure that we are always, Here… for YOU!